When it comes to building a public relations strategy, there are numerous options and approaches you can use. However, like any other campaign you use to promote your business, what works for another brand may not work for you. After all, you have your own unique products, company history, and audiences to target. Instead of trying to match your PR to someone else’s, you need to find the right approach for your business. Here are some public relations strategies and tactics you can use to create the ultimate PR approach. PR campaigns don’t fail without a reason – and sometimes several factors are to blame. If you can’t identify the problem, you may need to do more in-depth research and testing to clarify the situation. Once you’ve pinned your issues down, you can then adjust your strategy to avoid those mistakes in the future. 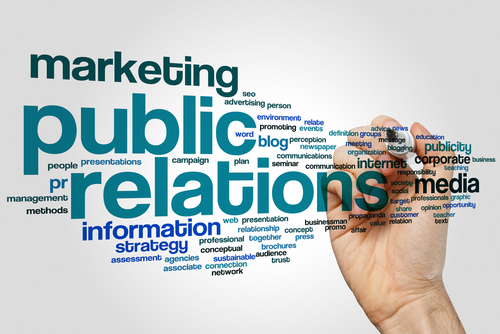 Public relations works to improve the impression of your brand, often through third-party credibility. And while there’s still a place for press releases and interviews, many businesses can get an excellent PR boost from collaborating with influencers. While the term influencers used to focus on celebrities, the growing world of social media has created micro-influencers that have a strong presence in a niche market. When an influencer lines up with your product and audience, you have a chance to both build on your public relationship and marketing campaign efforts through a partnership. The key to successful PR through influencers is to be mindful of who you work with. Aside from having a matching audience, you also want an influencer to have a content style and aesthetic that is consistent with your business’s brand and tone. If an influencer meets all these requirements, you have a potentially powerful collaboration to provide you with third-party credibility. It’s easy to say that you want your PR campaign to generate media interest in your business, but what does that really mean? For a small business, getting just one press release can be enough to meet the desired level of interest, while larger businesses would need a lot more content to have the sort of impact they are seeking. That’s why it’s important to set concrete and measurable goals for any PR campaign that you start. Those goals should also have a time limit so that you know when to stop and measure progress. They should also be reasonably attainable for your time frame and budget. This stage is where it’s especially important to take the needs and ability of your business into consideration. How many PR placements for your product or company do you want to have? When do you want them? When you determine these factors, your entire PR team knows what they’re aiming for, and it becomes possible to make it happen. Whether you fail or meet your goals is a way to inform your future PR planning efforts. Most businesses want to bring in profits, but underneath that is usually a stronger mission or company philosophy that informs every other aspect of your business. Your “why” can be a powerful tool in developing your PR content and strategies. Customers don’t want to purchase products from a company that doesn’t have any purpose. Instead, they want companies that are authentic in the content and products they produce. Taking your business’s core cultural values and purpose and putting them into your PR content helps turn your brand from just another company to something much more relatable to the public, which in turn boosts their perception of you. While it’s good to set goals and portray your why, it’s important that your PR team understands who this content is going to appeal to. One obvious group that you’ll be aiming at is the target audience for your products and services, but PR can go much further than that. 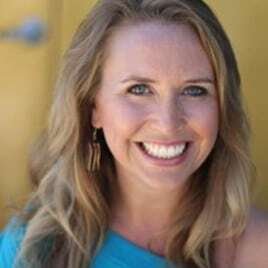 You’ll also want to develop appropriate PR content and strategies for media outlets, business partners, and whomever else you want to build your business’s relationship with. After you’ve identified your audience, you gain two key advantages. One is that you know what kind of PR content you need to produce to see results from your target audience. The other is that you then know where you need to publish your PR campaign to meet that target audience. Rather than indiscriminately targeting any publication that will take your campaign, find ones that your audience regularly uses so that they will see your PR efforts. Many public relations campaigns include ad buying, but that strategy isn’t as effective as it once was. Customers have a lot of control over what content they engage in, especially in the digital realm. Instead, focus your efforts on creating user-specific content rather than recurring promotions. In addition to press releases, you can also use video and interactive social media campaigns to make an impression on your audience. The more responsive and clever you are, the better success your PR campaign will see. Public relations best practices are changing as the digital landscape continues to inform how businesses communicate with their audiences. But no matter what changes occur, the best approach will always be the one that matches your business’s unique presence, PR needs, and audience. Considering these public relations strategies and tactics can give you the edge you need to have a successful PR campaign.